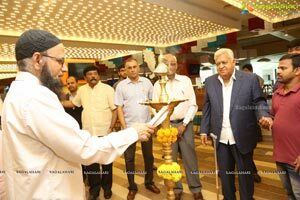 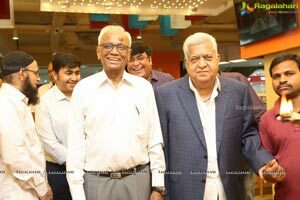 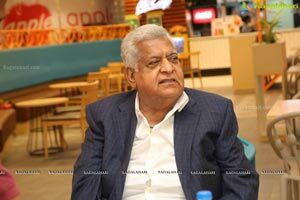 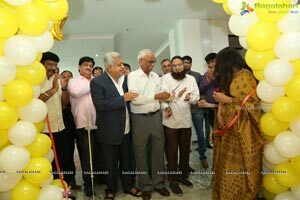 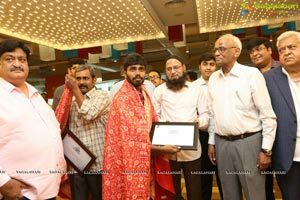 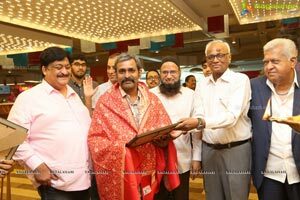 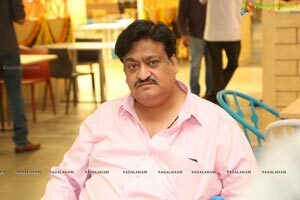 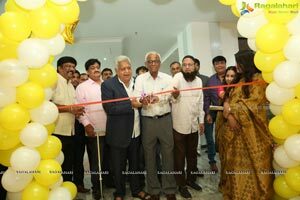 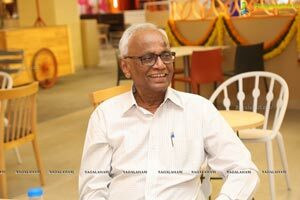 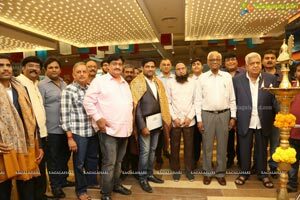 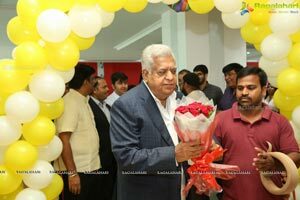 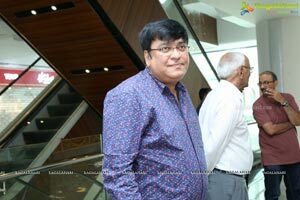 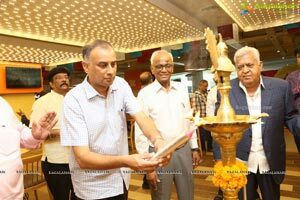 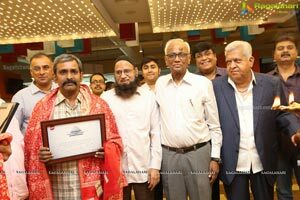 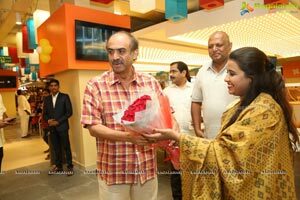 14th April 2019, Hyderabad: Hyderabad’s Largest Food Court was inaugurated on 14th April 2019, Sunday at the 4th floor of Sarath City Capital Mall, Kondapur-Gachibowli, Hyderabad. 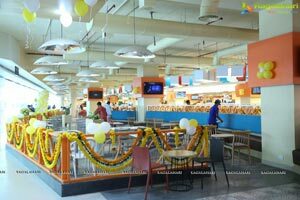 Sarath City Capital Mall, which is the largest Mall in India, now has the largest Food Court in Hyderabad with over 1050 seating capacity on it’s Fourth Floor, Lower Ground Floor and Banquet area together with an area of about75000 sq feet. 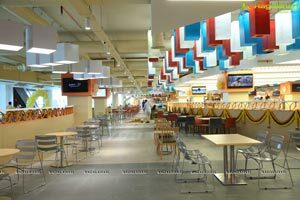 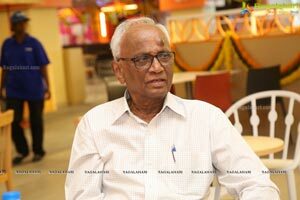 The vision of having a multi-global branded Food Court was conceptualised by Mr.Narayandas Narang, our Group Chairman. 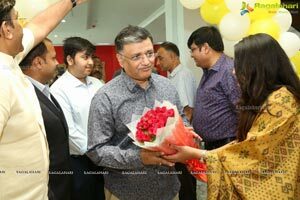 Mr.Raghuram Reddy, Director, Apple Restaurants has turned this vision into a reality by involving himself in the execution of the entire project and it’s completion on time. 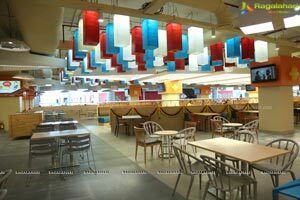 “The Food Court is a one-stop destination of cuisines from across the globe. 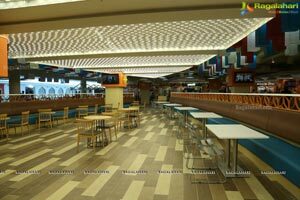 The Fourth Floor has over 38 food counters that would cater to all kinds of palate and the lower ground floor has around 25 food counters. 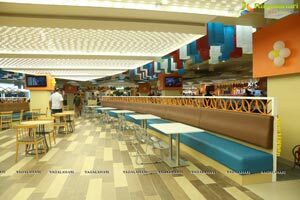 The food courts have been designed as per international standards and this shall change the food scape of the mall goers where they can shop and dine at the same place. 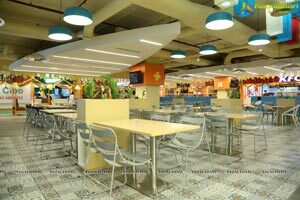 With so many options available, the food courts shall caters to the huge footfalls at the mall”, said Mr. Sunil Narang, Director, Apple Restaurants. 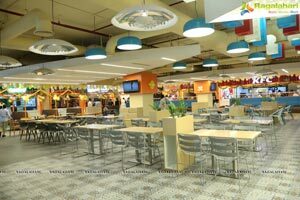 We have already launched the food court at the lower ground floor and the response is overwhelming. 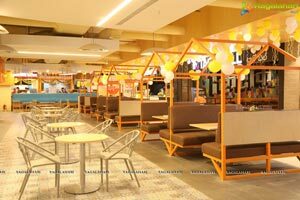 Mr. Bharat Narang, Director, Apple Restaurants said, “The Food courts are built on the lines of global fast casual dining and the all-new food courts are set to offer guests a taste of different worlds as it presents a mixed dining concept that unites global fast food chain brands with a chic casual setting, all under one roof. 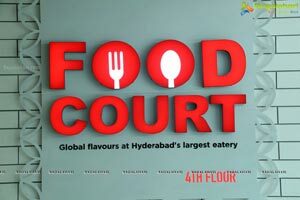 Playing host to an eclectic mix of corporate employees, young college students and families seeking affordable fast dining experiences, the food courts addresses the need to eat on the go in the new age culture of dining and the ambient setting of a warm place for families to enjoy. 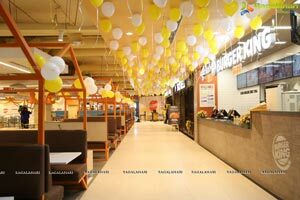 With no full table service but and offering of high quality tasty food all the diners order at the counters. 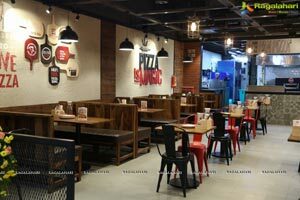 “The warm, pleasant ambience and quick service with an appeal to majority of diners and their delight will be the main driving factor of our restaurants. 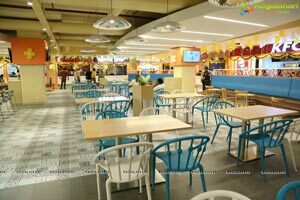 The menu will be continually innovated to create an exotic and interesting blend that will make the diners curious to try something new,” he said. 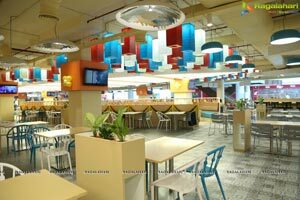 Apple Restaurants is a food chain in was founded with the concept of serving global food at affordable prices housed in the air-conditioned comfort of shopping malls. 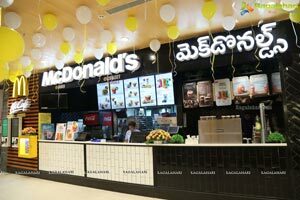 With the opening of its first flagship outlet at SarathCity Capital Mall located at Kondapur, bringing together the best of varieties under a single roof. 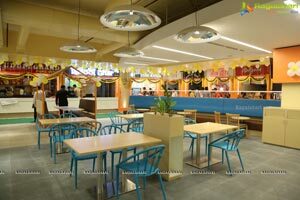 Promoting the appreciation of cultures and heritage in world cuisine, Apple Restaurant continues to hand-pick reputable, dedicated hawkers to reflect the authentic taste that people love, while providing an immersive experience for all senses, which includes the ‘live’ cooking demonstration delivered through each stall’s open-kitchen concept. 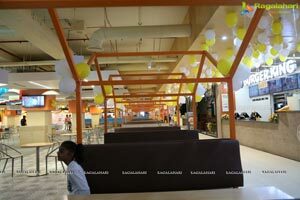 Sarath City Capital Mall is situated in the busy neighbourhood of Hyderabad’s technology corridor-- Hi-Tech City .Gachibowli - Miyapur Road that serves the entire cosmopolitan community of this part of Hyderabad. 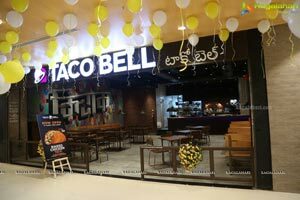 It rises 8 floors into the sky and each floor is a humongous 27,00,000 square feet in expanse. 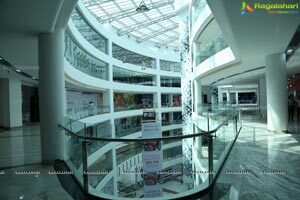 That makes the mall retail space 19,31,000 square feet. 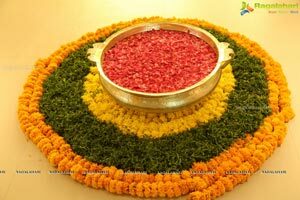 The largest in the nation of India! 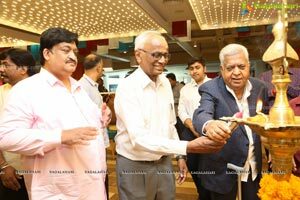 Plus, it has a parking space for 1400 cars and 4000 bikes over four levels of parking amounting to another 10,00,000 square feet. 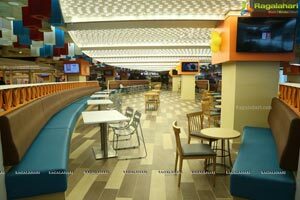 It has a clear carpet space of 12,79,000 square feet for over 430 brands across fashion, accessories, fresh food and grocery, footwear, luggage, time wear, collectibles, digital fashion, electronics, wellness, jewellery, food and beverage and gifts. 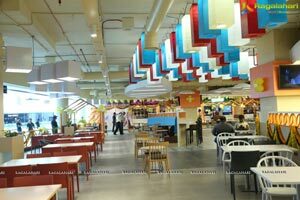 It has lots of space devoted to Home and Home Decor and fast turning out to be the home for Entertainment and Adventure. 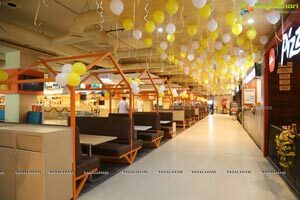 Sarath City Capital Mall has everything from Prestigious International brands to Local Niche brands that serves the customer in various ways. 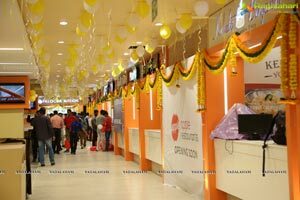 The mall features AMB Cinemas, a luxury 7 screen multiplex co-owned by Asian Cinemas and Mahesh Babu, the Telugu cinema superstar. 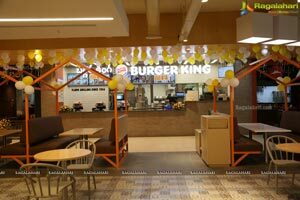 The mall is seeing a flock of new brands opening stores every week. 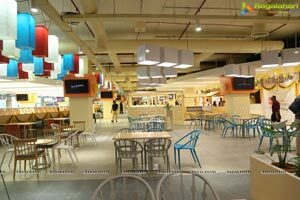 BAZAAR, an elegantly designed market place where you could find quaint curious and everyday items is set to open in the month of February. 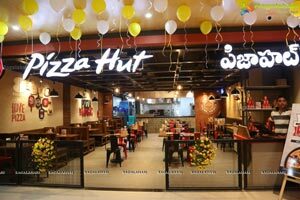 Very interesting propositions have booked space within and this location will be a major hotspot. 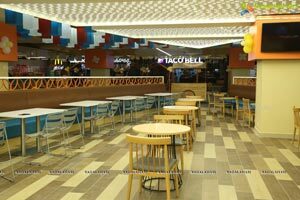 Several other attractions coming soon to the mall are Tridom - the Indoor Adventure Park, Sky zone - The Trampoline Park, Ski Capital - the Snow theme Park in large spaces and many more making the mall the most happening destination. 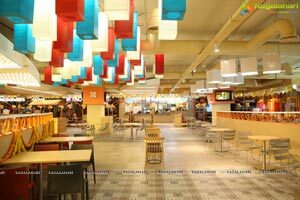 Besides the two massive food courts, a microbrewery, night clubs, lounges and a convention centre are in also being planned. 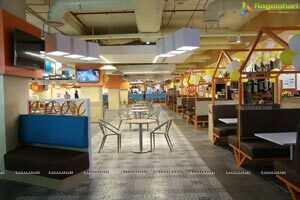 Co-working spaces on the top floor overlooking the entire city and the crowning glory, a 900-seater open air auditorium on the fifth-floor hosting music and culture festivals is also in the pipeline. 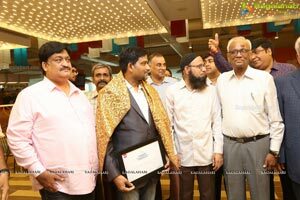 Sarath City Capital Mall is promoted by Mr.Sarath Gopal Boppana and Skill Promoters Private Limited- Mr.Aslam Syed & Mr.Naveed Syed. 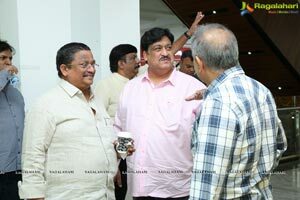 Their vision and hard work are showing results for all to see and enjoy.